My camera captured these 19 meteors in only 93 minutes starting around midnight on December 14th. I was a bit disappointed that my camera battery died after this because I wondered how many more I missed. Despite the moonlight many meteors had no problem shining through. 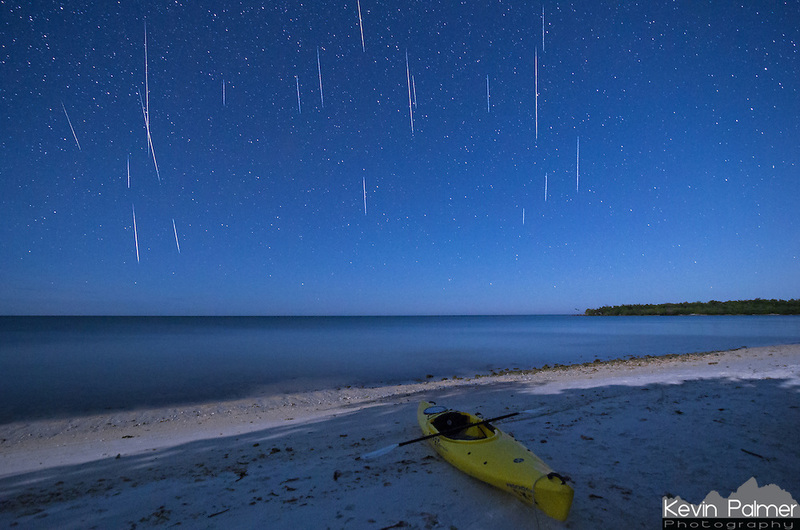 I couldn't think of a better place to watch the Geminid meteor shower than this remote island in Everglades National Park. I paddled out the day before and spent the night on Picnic Key. A lack of sleep, sickness, and battling the tide the next morning made it an exhausting trip. But it was worth it to see the best meteor shower of the year.